Spring draws nigh: the season of the birds and the bees. Birdsong is a welcome gift, but where would we be without bees? Their obsessive quest for pollen and nectar keeps much of Alberta’s native flora alive. 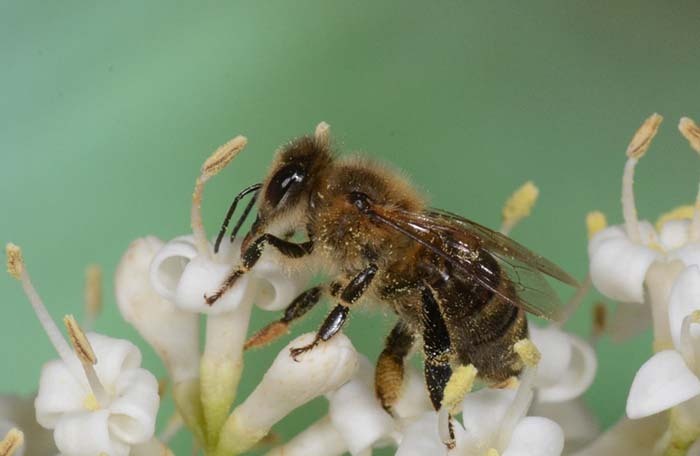 There would be fewer willows, flowers and garden crops without pollinator insects like bees. And no honey on our toast. Jonathan Swift once wrote, adopting a bee persona: “We have chosen to fill our hives with honey and wax; thus furnishing mankind with two of the noblest of things, which are sweetness and light.” Three centuries later, bees still fill hives with sweetness and light. Where they aren’t dying off, that is. There we go again: nature writing slides into a rant. It’s difficult to celebrate the natural world these days without protestations of love morphing into laments about loss. Bees are no exception. When we hear about them these days, we often hear about colony collapse, neonicotinoid pesticides, parasitic mites and all the ways humans have found to silence the hum of spring flower meadows. But when we think about bees and their troubles, we usually focus on honey bees, the kind that occupy little clusters of wooden boxes along roadsides. They aren’t even native to Alberta. Their problems, while real, obscure much more grave concerns involving the more than 300 native species of bee that actually originate here. The natives have big problems. Ironically, the most serious might actually be those honey bees whose woes have been so well publicized. Native bees—long-tongued, leaf-cutter, mining, sweat and other varieties—would actually be better off with fewer honey bees around. Biomass is the total amount of living material in a group of organisms. Biodiversity is a measure of its variety. Where bees are concerned, honey bees account for an enormous biomass, but native species contribute the most biodiversity. 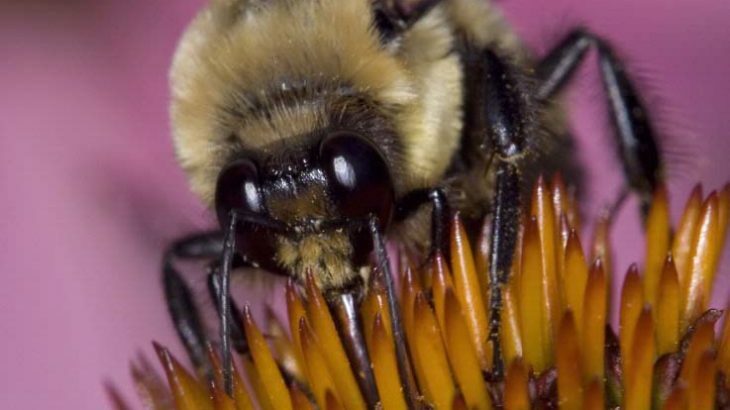 We could lose all those honey bees but still have most of the biodiversity. In a changing world, biodiversity matters. Diversity enables ecosystems to adapt to change and cope with disaster. But where bees are concerned, biodiversity is at risk. Unlike honey bees, whose colonies are coddled and fed through the winter, our native bees spend their winters in torpor, relying on their own provisions. Some burrow into the ground, others hide out in hollow trees or rodent burrows. Our winters can be hard, so many of them die. Enough survive to emerge each spring to begin their annual business of finding food to nourish their young. 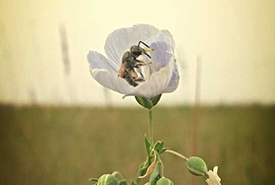 In the process, each helps pollinate the wildflowers whose diversity gives Alberta its unique character. Ralph likens putting a colony of domestic honey bees in a rural landscape to dropping an ecological bomb. All the nectar and pollen supplies close to the hive are quickly consumed, forcing the honey bees to fly deeper into the surrounding countryside. Their sheer numbers overwhelm the local bees as the “bomb crater”—the area’s flowers that are quickly stripped of food for native bees—gradually expands. He estimates that one 40-hive honey bee operation removes enough pollen to potentially displace four million wild bees. And that’s without considering the nectar they also consume, a further loss to native bees. People worried about bee conservation, then, should avoid honey that comes from wild flowers or natural settings. That honey was stolen from native pollinators. It’s better to buy honey produced from canola and clover hay fields whose native bees have already been wiped out by soil cultivation. 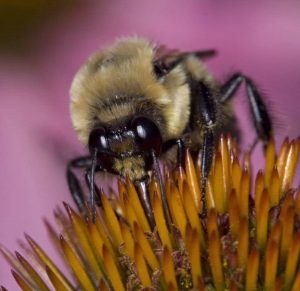 Conserving bee biodiversity means protecting natural habitats—and their rare and unique native bees—not just from our plows but from our honey bees. All bees aren’t the same, but all are important. Honey bees, though, may be the least of our worries; we can always import more. 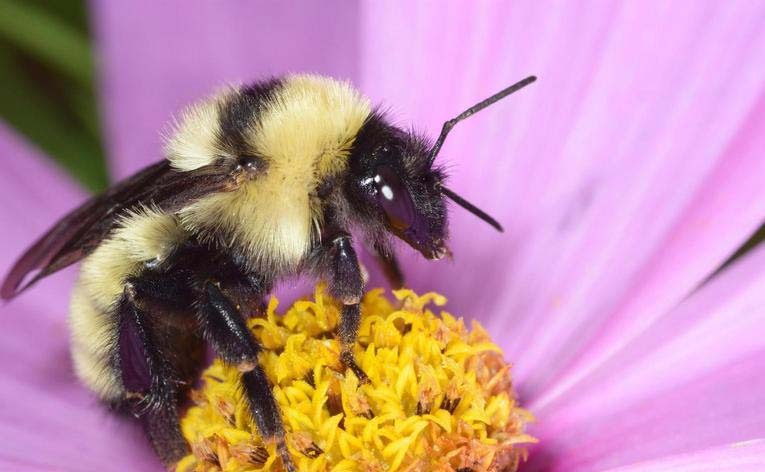 There’s no replacement for native bees. Protecting their natural habitats from development is essential. But so is protecting them from honey bees. From that point of view, counterintuitive as it might seem, buying wildflower honey is the wrong conservation choice. This story was originally published in the March 2018 edition of Alberta Views magazine, then on the Nature Conservancy of Canada’s blog, Land Lines, May 4, 2018. Kevin Van Tighem is a native-born Calgarian, naturalist and writer. He spent a third of a century working in Canada’s western national parks before retiring in 2011. Kevin serves on the Alberta regional board of the Nature Conservancy of Canada. Biology and Life Sciences, Chemistry, Environmental and Earth Sciences, General Science, NCC, Science in Society biodiversity, budwood.org, honey, honey bees, Kevin Van Tighem, native bees, Nature Conservancy of Canada, nectar, pollen, pollination, Ralph Carter, University of Calgary. permalink.